LANCASTER – Sheriff’s deputies shot and wounded a man who threatened to kill a neighbor in Lancaster Sunday afternoon, authorities said. 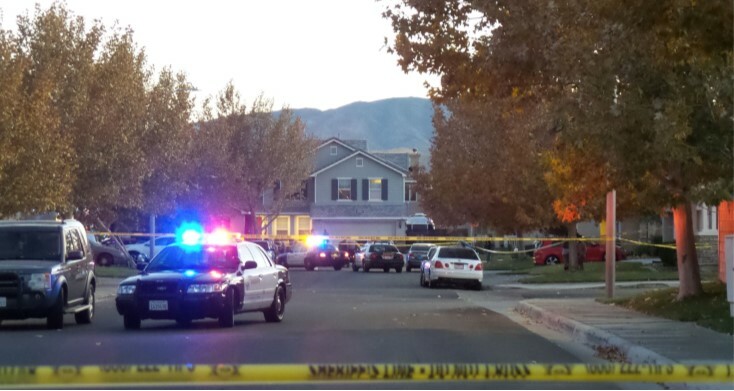 The deputy-involved-shooting happened about 4 p.m. Sunday. Nov. 25, in the 44100 block of 48th Street West, according to Deputy Tracy Koerner of the Sheriff’s Information Bureau. A woman was decorating the outside of her home when she heard a disturbance nearby and noticed a man standing a few houses from hers yelling, Koerner said. She returned to her open garage and began putting decorations away. The woman placed a ladder between herself and the suspect to try to keep him away from her, Koerner said. The suspect followed the woman as she ran around her vehicle and out the garage, where another neighbor was standing. “The suspect then started walking toward the neighbor, saying he was going to kill them,” Koerner said. The deputy repeatedly told the suspect to put down the knife and the suspect refused to comply, walking toward the deputy, Koerner said. “When the suspect was approximately 10 feet from the deputy, a deputy- involved shooting occurred,” he said. The suspect was struck at least once and was taken to a hospital for treatment, Koerner said. The knife was recovered at the scene. 21 comments for "Knife-wielding man shot by deputies in Lancaster"
I wonder if the deputies had time to use both pepperspray and tazers? The woman seemed to have made it out alright. It must be cheaper and easier to just shoot him. It’s not like they’re civilians that can get thrown in the slammer and prosecuted until they are found guilty or innocent. That was not the right address listed in the article. It was more than likely 48th st east, not west. I heard none of this activity and the photo shows this happening on a paved road, which there is not, on the 44100 block of 48th st west. Please correct the article. Should have put a few more bullets in him. THANK YOU AV SHERIFF !! That you for keeping us safe. We support YOU!, !! No matter what Lefty Loons like Tim Scott think. I don’t even want to comprehend your hateful mind-set. Do stupid crap get shot. That’s how it works. How many bullet holes do you have in you? None. Don’t run around with a knife and make threats.. Never bring a knife to a gun fight. Won’t work out well. COMPLY! COMPLY, COMPLY,!! It’s always the self-righteous ones that have the darkest secrets. The suspect then began to walk towards a tree saying that he was going to kill it. Naa.. I am betting on drugs. All it takes is for one to get too high and lose control of oneself.. People can just smoke some meth or do some heroin and not know they put a bunch of fentanyl in it. Except that he lived to see another day. Perhaps this second chance will be the turning point in this guy’s life? Thank you deputy for dismantling the assailant and protecting the innocent. There is NO excuse for such behavior.